The main focus of my research is on the relationship between complex and integrative neural systems and higher-level cognitive and behavioral function. 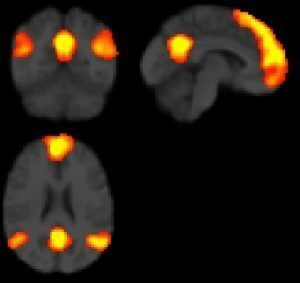 Current efforts combine both functional imaging (e.g. 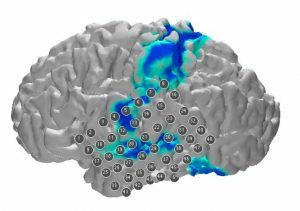 fMRI) modalities and invasive electrophysiology to probe cognition as a function of interactions across widely distributed yet highly inter-connected cortical networks. We primarily work with epilepsy patients, capitalizing on the unique clinical setting of sub-dural, cortical electrophysiology in human patients (referred to as electrocorticography or ECoG). We leverage the high fidelity of direct recordings from the human cortex to interrogate relationships between brain organization, functional connectivity and neuropsychological function. 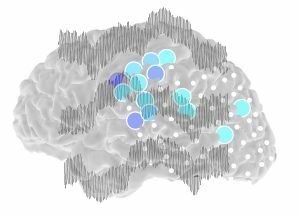 One particular focus seeks to characterize the neurophysiological phenomena that contribute to resting state fMRI-defined functional connectivity across various spatially distributed brain networks as well as the physiological mechanisms that underlie coordinated modulations in connectivity during behavioral engagement. 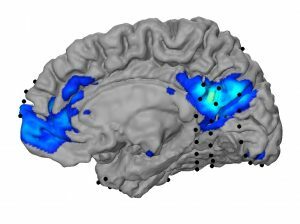 A second focus is exploring, from a neurophysiological as well as brain metabolic perspective (through use of magnetic resonance spectroscopy or MRS), the functional role of default mode network (DMN) on memory and attentional function. 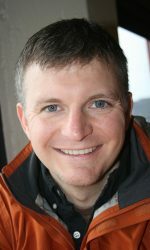 The existence of the DMN is a recent observation that has gained significant traction within the systems neuroimaging field in part because heightened blood oxygen dependent (BOLD) signals within the DMN appears to ‘disrupt’ activity within other functional networks primarily responsible for orchestrating a variety of cognitive and sensorimotor behaviors. Consequently, numerous neurological (such Alzheimer’s and Parkinson’s Disease) and psychiatric (such as Schizophrenia, Autism and ADHD) disease states have been linked with abnormal DMN activity. Through these studies, we hope to better understand the natural physiology of cortical systems including the DMN, leading to a greater mechanistic understanding of how these systems contribute to neurological disease.